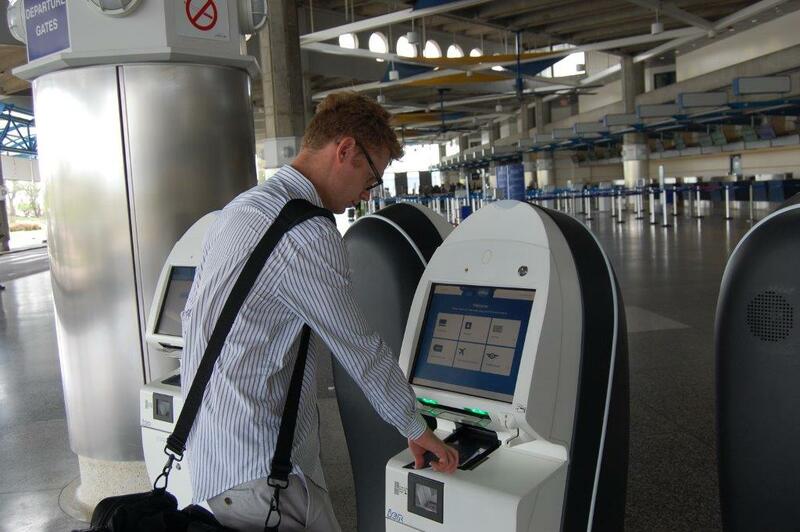 Eight new self-service check-in kiosks have been installed at Grantley Adams International Airport. The kiosks are yet another feature introduced as part of an overall plan to improve the customer experience for passengers at the Airport. The new kiosks allows passengers to check-in, print their boarding pass and proceed directly to the departure check point if they have no checked luggage. Already, passengers on Jet Blue Airways, West Jet and American Airlines are benefitting from shorter check-in times by using the kiosks, which are conveniently located in front of the airline counters in the Departures Terminal. Other airlines and baggage tagging capability will eventually be added to the kiosks as the software applications become available. Take chewing gum or sweets to help keep your ears from hurting when the pressure changes in the cabin. If you are susceptible to motion sickness, take air sickness tablets ahead of your flight so they have time to work.